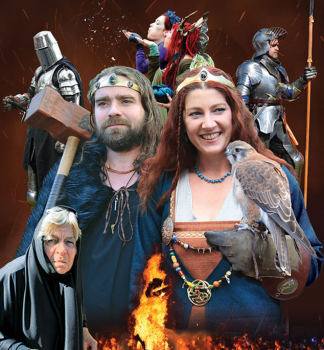 Thrill provides exciting fun Medieval Fair Games Carnivals for events, team building activities and re-enactments for corporate entertainment and celebrations. Medieval entertainment is as fun as it sounds. Get dressed in robes and period dress. We create brilliant excitement for company celebrations in Castles, Offices and Conference Centers throughout Australia. We learn from history and in this case have your people engage and re-enact it. Get your corporate games teams ready for a day they will remember henceforth. Create real Amazing buildings with Defences, Forts and Trebuchet’s also known as catapaults. Attacking the competition wearing Armour with broadswords and firing your own Catapaults or Trebuchets. Thrill will have your teams fancy dressed in fine robes for feasting and cavorting carnivals. Display your chivalry with Jousting tournaments. Meet the iron clad horses in the Flesh. We bring charges and unicorns to gallop or pat and ride around the concourse. 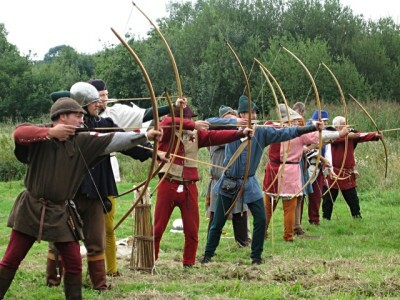 Medieval Archery having your teams firing real arrows with sharp metal tips at sights or direct at imitation Fox’s and Deer. A safer alternative is for your team to enjoy shooting with padded arrows and can targat and chase each other with an Archery Tag similar to Paintball. With masks and body armour. Carivale and Fares can be conducted in Sydney mansions, Castle Hill, Centennial Park, St Ives, St Patricks Cathedral Manly. We have access to several enchanting properties that can be lit up like flames in The Forest. In fact, almost everywhere. Come along and be merry, sing ye old songs and join the processions before the war wages through the medieval ages. Then unite, rejoice a legendary Carnivale with banter of competitions fought and won. Celebrated over mead an ale or fresh zesty cider. Forthwith, We are gladdened to receive news of your query! Your teams can dressed up or we can bring the medieval themes and props for you to role play in. Please let THRILL know which activities interest your team and whether you want to be onsite at your offices, accommodation. We happy rove and travel depending on your time requirements. Catapaults / Trebuchet – firing water melons like on amazing races. With your selection of activities, we will be able to provide you with an excellent medieval and team building activities quote.